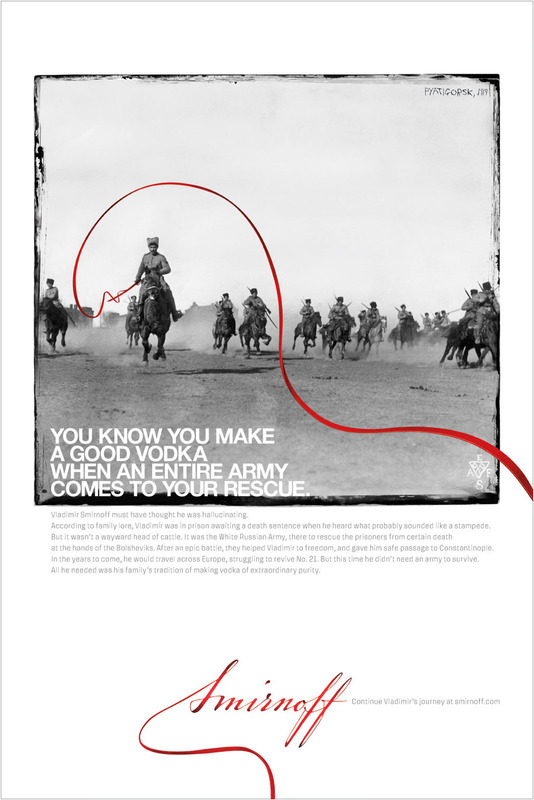 This global campaign for Smirnoff told the story of Vladimir Smirnoff. Born to a family of Russian aristocrats, he spent his youth chasing women and wine instead of books and work. The Russian Revolution took all the fun out of that. 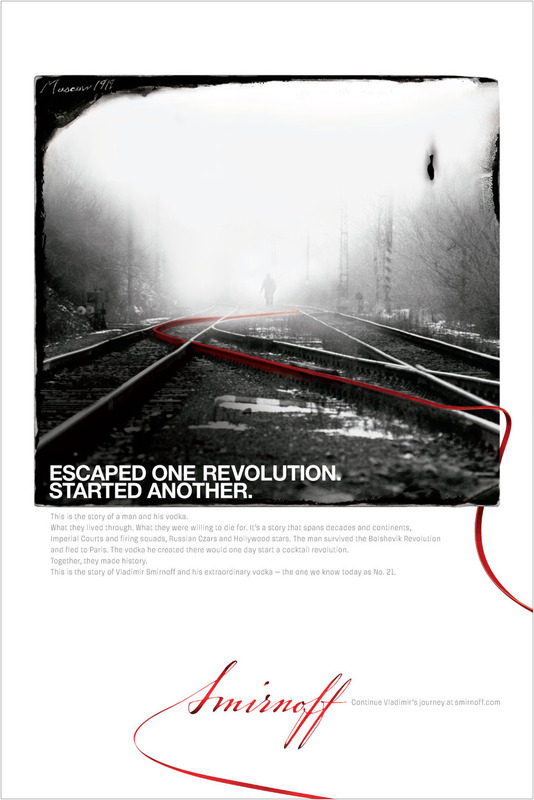 Now he was the one being chased—by Bolsheviks, the White Russian Army, even firing squads. Five times he was sentenced to death. And five times he managed to walk away alive—along with a certain famous recipe for making vodka.